Hello and Happy Thursday !! Neat & Tangled Floral Heart and Lumberjack Love stamp sets . I began by die cutting the base using My Favorite Things Die-Namics Stitched Rectangle Stax . For the background I used Distress Inks in Hickory Smoke and Worn Lipstick . I blended them onto the cardstock using the Mini Ink Blending Tool . These sets also have matching dies : Lumberjack Love Die and the Floral Heart Die . 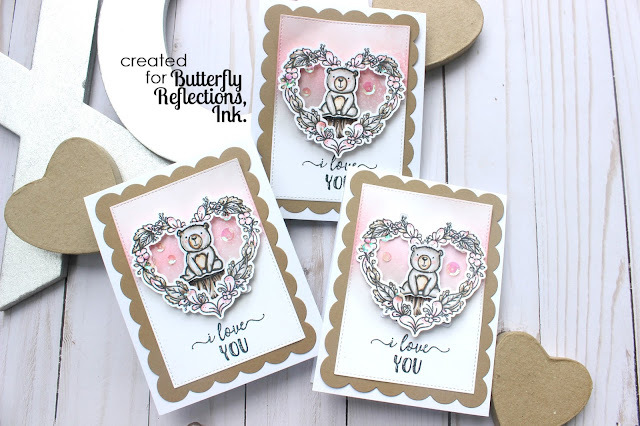 The scalloped base is also a die set from Neat & Tangled Scalloped Die set . Valentine's day decor I have in my entryway. 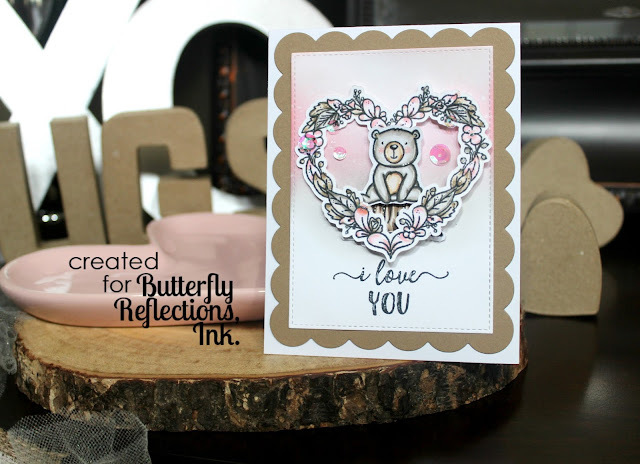 The sentiment was stamped using Memento Tuxedo Black Ink . I hope you enjoy these cards I created and feel inspired to create !! Wishing you all a wonderful and Blessed Day !! These are so adorable, Mayra!! I love the designs and the colors!! The images are so sweet!! These are beautiful!! Love, love them!! Aaaw, so adorable Mayra! I love the cute little image and the way you framed it with the beautiful heart! So pretty! They are adorably cute Mayra! I love it when you use kraft on your projects.... it always looks amazing!